Mnna,I'm a bot crazy tonite,so,i open this most weird topic ever. I'm just nterested in te-chan hairstyle recently..
Etto,,,dun u thnk alll the hairstyle are the same?? Which hairstyle of te-chan U like the most? i lOve it aLso..^^ ..it fit's to te-chan..
he and mizuki-chan are wanting to buy the drugs stuff..coccaine,,..
i kind'a forgot the right term..i really find te-chan a cute badboy in that hairstyle..
..nweiz..um minna..do you have the picture of this kind?.. oh..sOuka?..nweiz..wHat epi are yoU bihacHan?.. where did you watch shibatora bihachan?.. atashi havent started yet.I just bought the dvd! !kyaaa..ureshi des! my favourite is the hair when its dyed brown! heh i dunno when it is though..
..ooh you buy dvd?..anO..hOw mUch is it?.. and where did you buy it?.. i have a 'supplier' here.it's cheaper than the other place..
how much??etto. $6 per dvd?? demo,this is just an apprx. ah k..tha's good for you..
we shud open new thread to talk about random na. Does anyone know wat is his latest haircut ne? 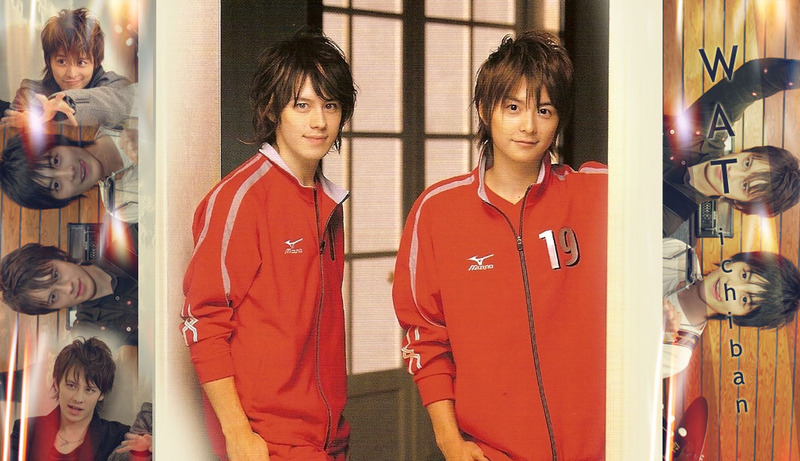 i guess te-chan havent cut his hair..
i think teppei's having his hair longest ever now. spiky hair is when hair 'stands up'. HAHA i like guys with that! watched the NHK Kouhaku Uta Gassen last night. and yea, Teppei's having almost long hair now. and Wentz has short hair!!! i aLsO lOve this hair style of te-chan..in shibatOra..
..it's kind'a bLurry...you have the clearer picture of this image minna???.. mm....I like his hair style when he perform in Kouhaku Uta Gassen 2008!!! bibi, im going to kill you! it's an annual music show. and being invited to sing is a VERY BIG DEAL. cuz its the last day of the year, and many japanese spend their time at home. n3way,OMG! !Teppei looks a bit different! !more mature! !kyaaa~but the kawainess are still there! yeah..te-chan looks mature in long hair..